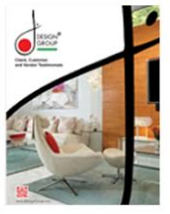 Are You Personally Prepared to Start Your Interior Design Project? Are you planning a large interior design project in the near future? Are you prepared to get the project started on a personal level? After deciding what type of changes you want to make to your home, you need to prepare for the remodeling in advance. Large projects require careful planning from the very beginning to ensure everything goes smoothly, which is why contacting your interior designer in Miami early in the planning stages is a good idea. She can help you plan all the details of the project from the actual design to helping you find the right professionals needed to get the job done. However, there are things you need to do to prepare for your interior design project that your designer can’t help you with. Before you begin your project, consider the following. Did You Set a Realistic Budget? Before you begin any interior design project, you must set a budget. You’ll then work with your designer to achieve the desired results while staying within the amount allotted. The amount you set for the project is entirety up to you and you can spend as little or as much as you like but it’s still vital that you set a realistic budget. Otherwise, you could end up paying a lot more than what is necessary for the project because no one will know where to draw the line. If you set the budget too low, you may not get the quality job that you expect. Do your research to get an idea of what it would cost to complete a project similar to what you have in mind. You can then use this as a guide to help you create a budget. You should also have backup funds available in case of an emergency but having a realistic budget set from the beginning will help to ensure you get the quality work you expect at a fair price. Are You and Your Family Prepared for the Changes? One of the first things that you have to look at is how the project will affect your daily life. Large remodeling projects can be very disruptive to your normal routine and if you’re not prepared, the whole process could be very upsetting for everyone within the home. For example, if you’re remodeling the bathroom, do you have other facilities to use while the construction is going on? If remodeling your kitchen, how do you plan to prepare meals? Remodeling a home can be very emotional for the whole family, especially if you have small children or an elder family member living with you. When you disrupt their routine, it can cause stress for everyone so before you begin your project, plan ways to minimize the disruptions to your daily routine as much as possible. If the project will interfere too much with your daily life, then you’ll need to make arrangements to stay somewhere else temporarily until the project is complete. Jumping into a large interior design project without preparing for it on a personal level can cause emotional stress. Start by doing your research and preparing a budget to keep your finances in order. Next, talk things over with your family and make the proper arrangements in advance to reduce the stress levels and to ensure things go as smoothly as possible.